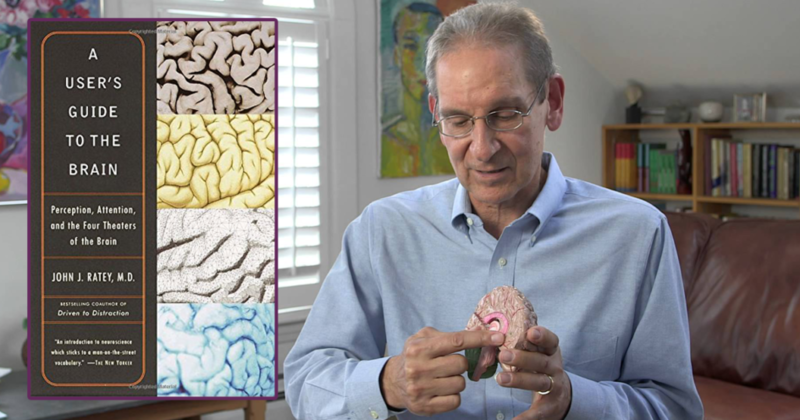 Dr. John Ratey’s most recent book, A User’s Guide to the Brain, is one of the most accessible books available on recent brain research, what it means, and how to best make use of it. Ratey is professor of psychiatry at Harvard Medical School and the co-author of a number of books, including Shadow Syndromes, a look at various forms of “undiagnosed” mental illnesses, and Driven to Distraction: Recognizing and Coping with Attention Deficit Disorder from Childhood through Adulthood. His current project is a new book called The Mind of Love, which will examine what goes on in the brain when people are in love. BrainConnection: What about psychiatry drew you to the field? John Ratey: Its focus on the merging of science with philosophy—allowing us to use our scientific techniques to probe the inner depths of the soul, or at least to hopefully remove layers of noise that obscure the asking of these questions. BC: What has compelled you to write books about the brain that are intended for a general audience? Ratey: I realized that so much is known about the brain and its disorders and that this information is key in helping people to get a new perspective on what ails them. The major goal is to help remove the moral condemnation that still follows mental illness, be it severe or mild. This helps people remove the shame, which is the major impediment to change and growth. The external criticism is bad and can be disabling, but it is nothing like the self-flagellation that all of us can bring to bear on ourselves for things that may be outside of our control. BC: What three pieces of advice would you give parents of young children in regard to the brain? Ratey: First, I would say that activity ist alles. Keep things in motion. Physical and mental activity are perhaps the most undervalued tools as far as the brain goes, and yet we are constantly seeing the studies that show that exercise and play help our brains stay flexible and help us learn. The more the brain is challenged the better the brain is; it is like any muscle that we have and it is in need of exercise to insure growth and health. Secondly, emphasize production and acting on what the child knows or wants. Encourage children to teach parents and others about what they can do, to strut their stuff. 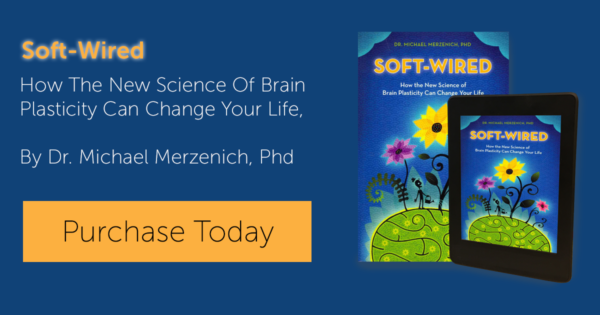 This not only strengthens children’s self-image, but also activates much of their brain. The classic German model we have in our schools—memorizing what the teachers offer and feeding it back—is not the brain friendly way to go. Rather taking what is learned and acting on it makes for a better brain in the long run. And third, challenges, disappointments, and slow periods are part of normal growth and children need to experience these as early as it comes and build skills that enable them to cope with life and to increase their resilience. Also quiet periods and goofing off time are necessary and should be encouraged in order to allow for the fostering of what is becoming a rapidly diminishing trait in our whiz bang world: the ability to ponder and think about the world. BC: The subtext of this book, it seems, is that understanding our brains will make us better equipped to “use” them. Is this so? Ratey: Rather then spending time and effort in dealing with the unknown and blind alleys, the more we know will allow us to target the problems and accentuate the positive. We get better at knowing what to take in and what to avoid and I think if we continue to learn what works best, we can truly inform our educational system to do the right things, such as starting a second language early and emphasizing the moment and action in the classroom. Also we will know better what talents we may have and thus pursue them. BC: You compare the brain to an ecosystem. How so? Ratey: The basic thing in this is the pruning aspect of the brain and the “use it or lose it” principle. If information is useful, the brain will save it, which is how the organ evolved. And that’s what happens in a person’s lifetime, too. If you’re not using something, it’s going to be discarded or made into something else. For instance, there’s always been speculation that blind people have better senses of hearing and touch. It’s probably true, because they’re using the visual cortex for all kinds of things. In other words: we don’t need those neurons to deal with the visual aspect anymore, but “bang!” we can use them for these other things, which are also needed. So, if you’re not using something “bingo!” it goes. And a big part of that, too, is the whole idea that the brain is really about adaptation. That is true in every way. If the brain is being used, from mental activity or aerobic exercise, what we see happening is the release of growth factors: BDNF (brain derived neurotrophic factor), nerve growth factors, and a variety of others. These growth factor make those cells healthier–younger and perkier, I like to say. It makes an environment for stronger bonds between cells, so learning is better. BC: You advocate that mental health professionals not ask their patients “how do you feel,” but instead, “how do you know the world?” Why? Ratey: I think it’s an important distinction. Let’s look at how you experience the world. Let’s look at your perception and your cognition and how this has impacted your life. I’ve seen so many ADD and LD people over the years and the fact is that they see the world differently and this contributes to the way they feel. And it makes them feel bad, basically. And if you just focus on the feeling bad, then you’re missing a big chunk of what’s going on; you’re missing the point. A lot of people with ADD, for instance, are so mad at themselves because they have failed to succeed and they don’t know why. They haven’t had a name for it and haven’t had a reason for it, other than they’re lazy and no good, when in fact a big contributor to it is the way their brain works. BC: What is the single most important thing that the public needs to understand about the brain? Ratey: That the brain is something we can influence and guide and take care of. That we can have a hand in it once we understand what’s going on.